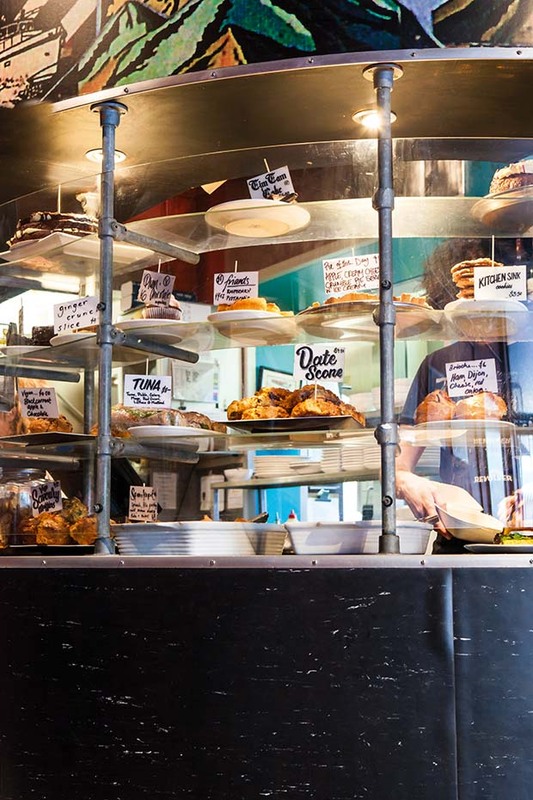 Wellington’s Cuba Street is famous for its diversity and flavour. 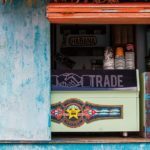 Although it was named after the settler ship Cuba which arrived in Wellington in 1840, the street is identified most of all with the country of the same name, channeling the shabby grandeur and bright colours of Havana, and celebrating the heroes of the Cuban revolution in the names of cafes and eateries. Some would say Cuba Street has created a revolution of its own bringing to the people of Wellington great food and atmosphere. 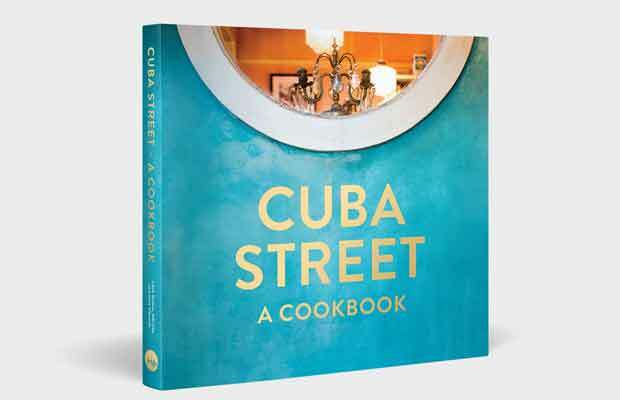 The flavours of Cuba Street are celebrated in a new book Cuba Street: A Cookbook. 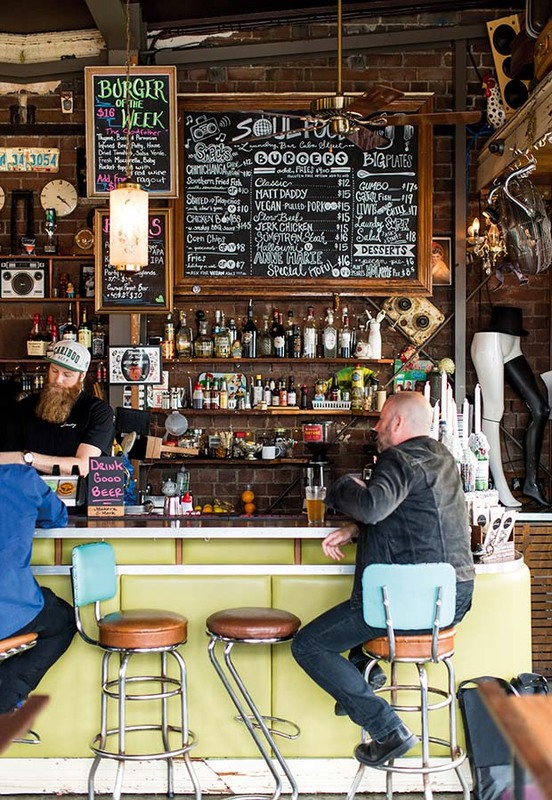 We meet the passionate foodies behind three colourful Wellington businesses. 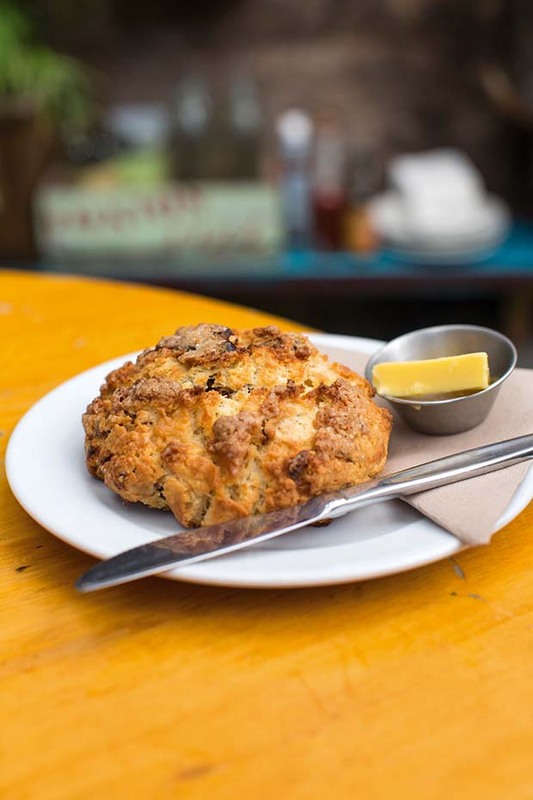 Fidel’s Café is much more than a Cuba Street institution; it’s parent to successful children Havana Bar and Restaurant, and Havana Brothers Bakehouse. 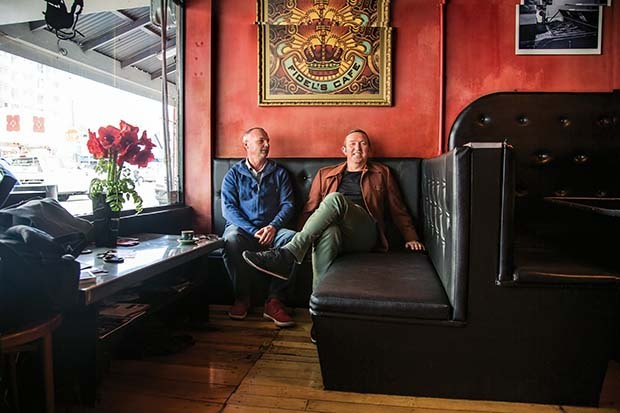 It’s also home to the unofficial Mayor of Cuba Street, Roger Young, and his business partner Potti Wagstaff. The story of Fidel’s is that of a young Tauranga man, Roger Young, who in the 1990s travelled up and down New Zealand looking for places to sell his watermelons. 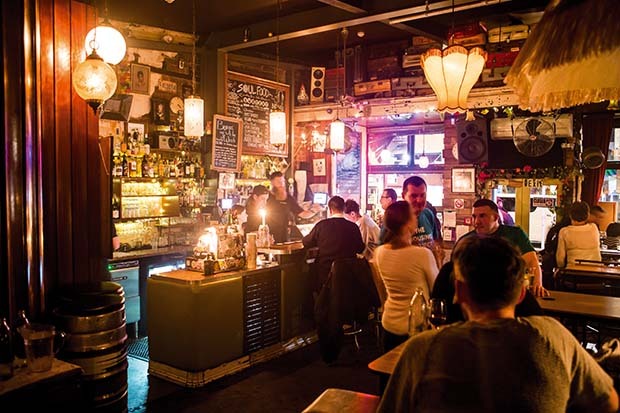 He found an opportunity at the Southern Cross Tavern, the then pretty shady but popular student and public bar just off Cuba Street. One night while walking home after raffling watermelons at the Southern Cross, Roger noticed an old building near the top of the street. Something about the two-storey wooden building sparked his interest, and a few years later, when looking for premises for his latest venture – a pizza joint called Little Gringo’s – he saw the ‘for lease’ sign on that same building and it felt like a strange kind of destiny. He quickly signed the lease. He’s still there more than 20 years later. Roger had always been drawn to the shabby, eclectic appeal of Cuba Street as it was in the 1990s, reminding him of Notting Hill and Camden Town, which he’d experienced on his London OE. After four years of making pizzas, Roger sold Little Gringo’s to the Southern Cross. When the landlord wouldn’t let him out of the lease of the premises, he decided to set up a café. Inspired by what friends Geoff Marsland and Tim Rose were doing with Midnight Espresso, Roger went on to set up Fidel’s in 1996. Roger met Potti one night sheltering from a lightning storm on Abel Smith Street. The tequila was brought out and the friendship was cemented. 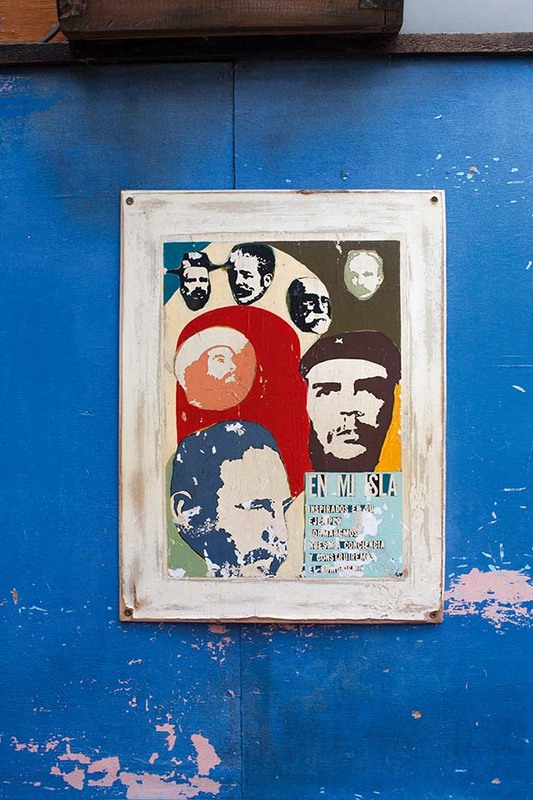 At the time Potti was working as an architect and helped Roger set up Fidel’s. Their working relationship was so successful that Roger invited Potti to become a financial partner. 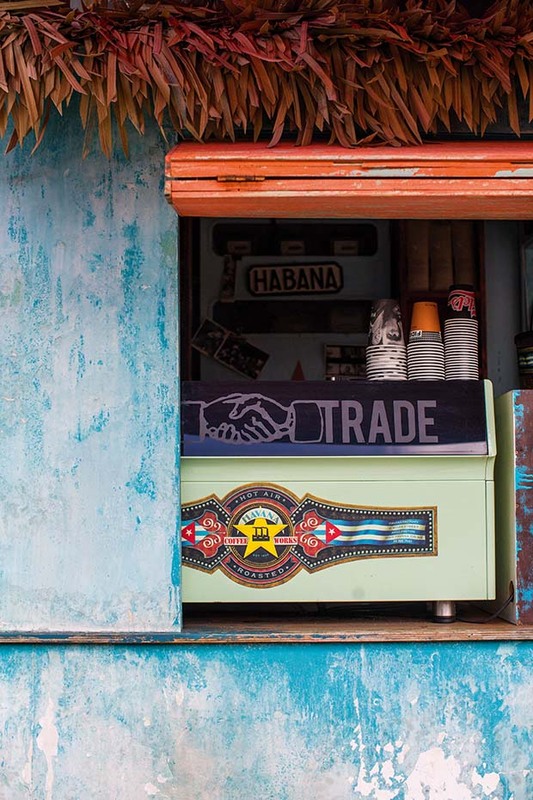 When you walk into Fidel’s you immediately notice an interior that talks to Cuba and the Cuban revolution. 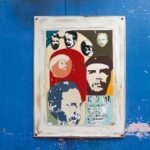 There’s a multitude of portraits of Fidel and his fellow revolutionaries, the Cuban flag is boldly on display, along with many photographs of Cubans going about their business. Vicky Ha is the powerhouse behind the fabulous House of Dumplings, bringing a fresh approach to this classic Asian food. Her authentic dumplings have become a firm favourite at the Wellington Night Markets. After trying a series of different jobs, Vicky, originally from Hong Kong, hit upon the idea of re-creating the dumplings of her childhood as taught to her by her mother. 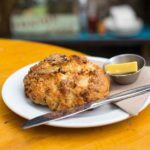 Encouraged by friends who’d tasted them, Vicky set up a stall at the then Wellington City Market. It took 17 hours to prepare for the first day at the market, and the dumplings sold out in only two. It’s been all go since. 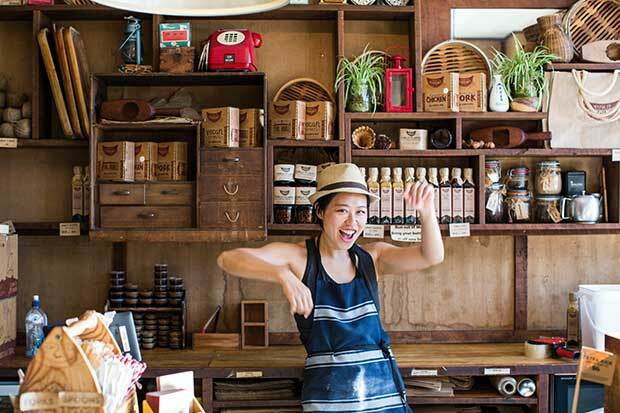 Two years later, Vicky opened the House of Dumplings on Taranaki Street, a small but perfectly formed café filled to the brim with Hong Kong street style, yummy dumplings, homemade sauces and fresh salads. Although she no longer runs the café, it has become the hub for her thriving business. 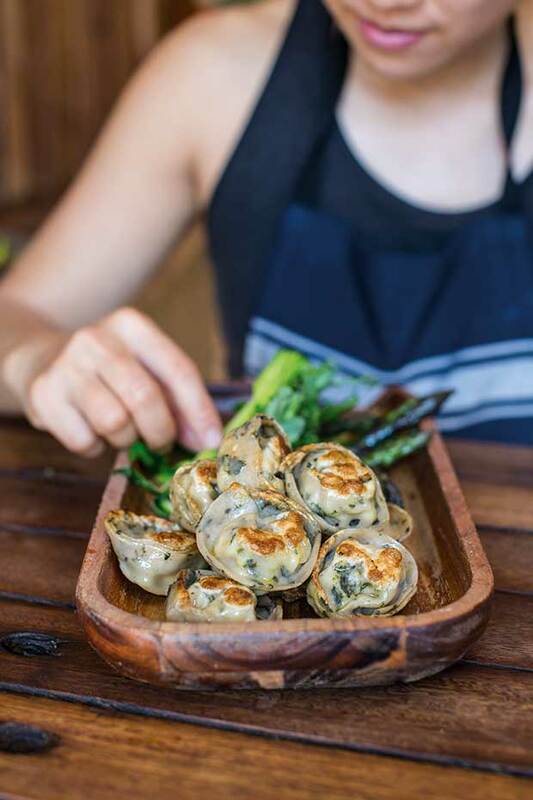 There, Vicky concentrates on keeping up with the demand for frozen dumplings and sauces, sold at supermarkets nationwide, and prepares the fresh dumplings which she pan-fries at markets and festivals up and down the country. Vicky’s passion for local produce and natural flavours speaks to the heart of homemade rather than commercial cooking. It was very apparent when we went to photograph the food for this book. Surrounded by mountains of beautiful fresh New Zealand produce, it was hard not to get caught up in Vicky’s energy and enthusiasm. After three hours of cooking and photographing a new recipe of fish dumplings with karengo seaweed accompanied by greens, our joint enthusiasm for what had just been created spoke volumes. The proof was in the eating. Laundry is the story of three best mates with a passion for house parties and live music. As skilled tradesmen, they were able to transform an old dry cleaners on upper Cuba Street into a seriously cool place for ‘eats and beats’. Laundry is perfectly at home on Cuba Street. 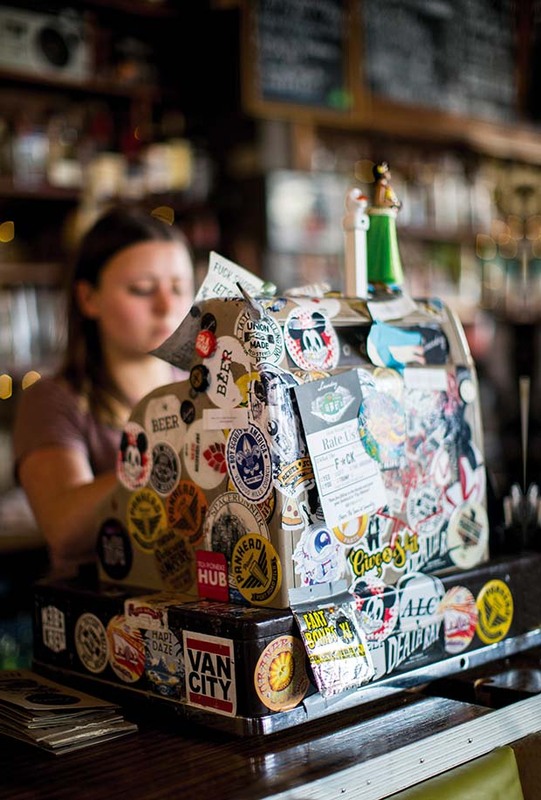 Grungy yet welcoming, the bar’s decor is eclectic, rocking a 1960s chic meets junk-shop quirk. 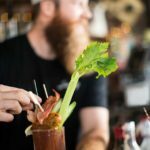 The caravan kitchen out the back miraculously serves up delicious soul food right out of New Orleans. Two years after opening, Greigh was hired as manager to help Laundry make the most of what the three friends had established. Big on experience, this tall, bearded Canadian was able to articulate the ethos of Laundry and help put that ethos into place. 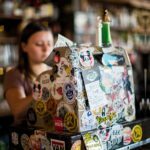 Today Laundry is many things – café, bar, restaurant, nightclub, community hangout and modern-day speakeasy. 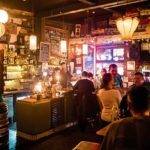 The demographic is broad, but its core of regulars are artists, musos, hipsters and hospos, popping in for a late night drink. 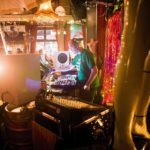 A particularly well-known regular is Geoff Stahl, or DJ TV DiSKO as he’s known at Radio Active, Wellington’s alternative radio station. 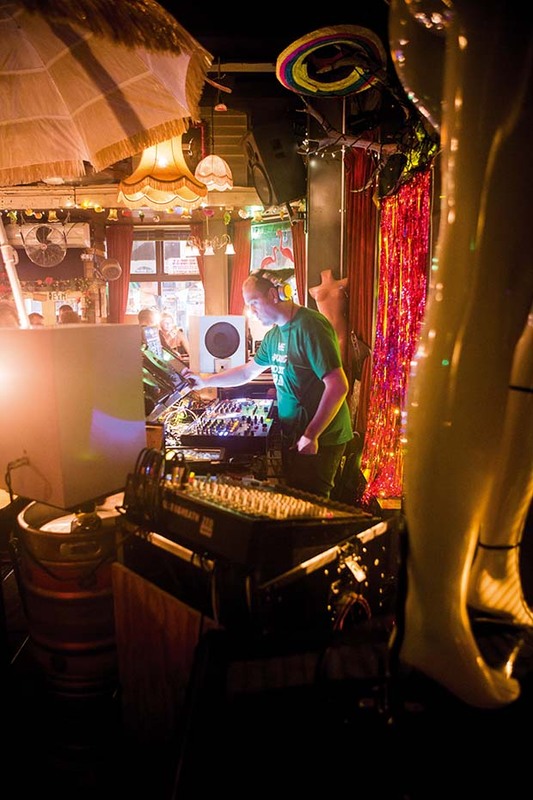 Not only is he DJ for the vinyl-only show, ‘Music Without Subtitles’ and an incredible user of alliteration (check out his page on Radio Active’s website), but he’s the customer who invented Laundry’s legendary vegan pulled-pork burger. 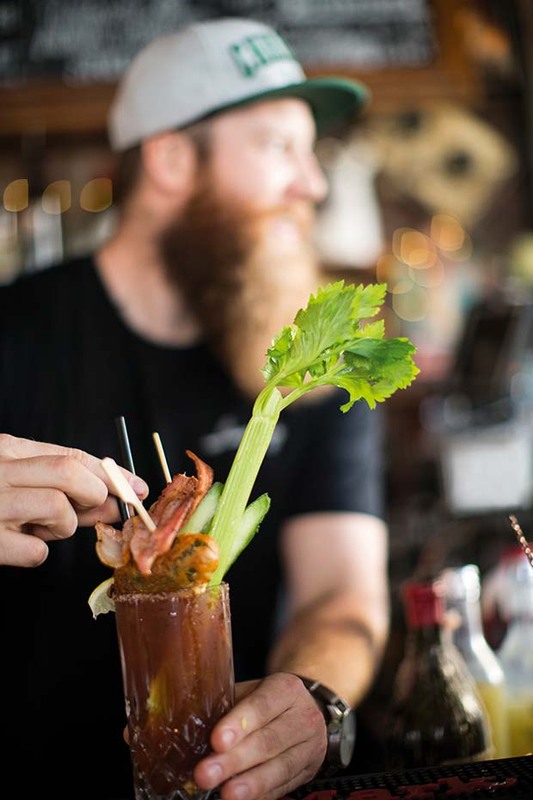 As part of the annual Garage Project Burger Wellington challenge, Laundry asked its regulars to contribute a recipe, and Geoff’s proved so popular it’s been on the menu ever since. This story first appeared in the Cuba Street: A Cookbook.